Condition: New with tags; Tags may be missing the MSRP rider, may have clearance tags or tag remnants. 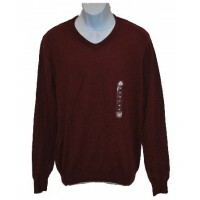 Classic men's lightweight crew neck sweater by American Rag made of soft, machine washable 100% cotton with appealing contrast color trim around the neckline, bottom of sleeves and sweater. It has all of the quality and design you would expect from the brand. American Rag Men's Lightweight Crew Neck Sweater White SM Condition: Shelf Pull; New with Tags..
American Rag Men's Lightweight V-Neck Sweater NWT Solid Garnet Stone Style: V-Neck Material: ..
American Rag Mens Solid Gray V-Neck Sweater NWT LG Condition: Shelf Pull; New with Tags. 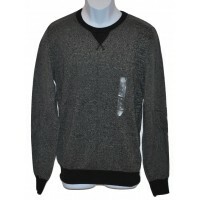 Tags ..
American Rag Men's Crew Neck Sweater 2-Tone Black Condition: Shelf Pull; New with Tags. Tags ..